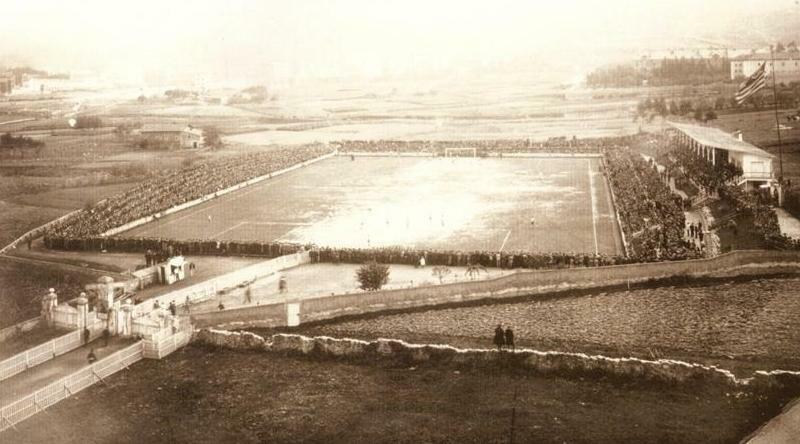 Estadio San Mamés, nicknamed La Catedral, officially opened on the 21st of August 1913 with a match between Athletic Club and the Spanish champions of that year, Racing Club de Irun. The first goal was scored by Rafael Moreno “Pichichi”. San Mamés initially counted with a capacity of 7,000 places, but gradually expanded over the following decades. 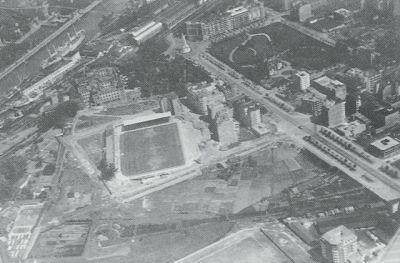 More significant developments started in the 1950s, first with the construction of a new main stand. 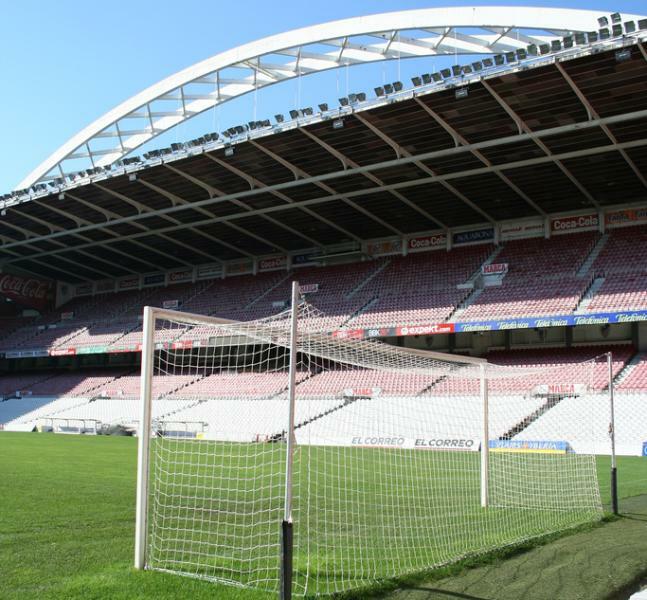 Most characteristic aspect of the new stand was an arch that ran over its entire length. 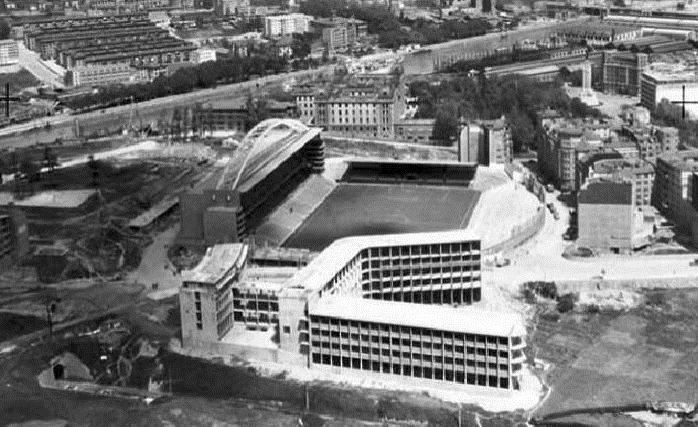 Works continued in the 1960s with the construction of two new stands at the ends. 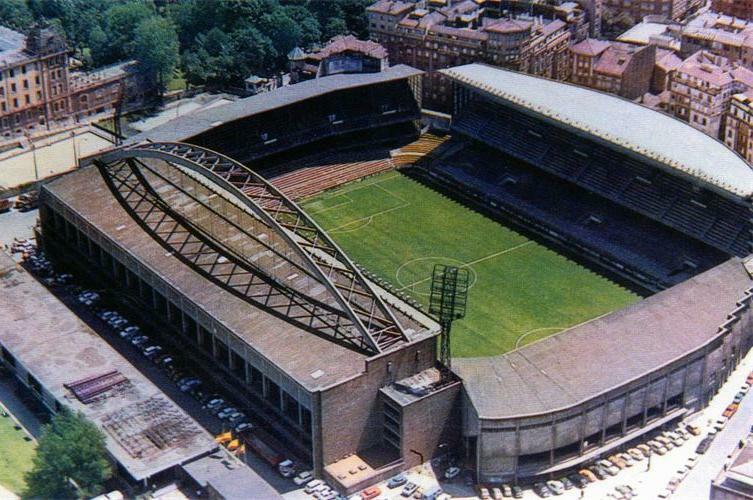 The stadium got completed in the early 1970s when a new stand replaced the uncovered terraces that had stood there until then. Estadio San Mamés was selected as one of the playing venues of the 1982 World Cup, and as a result underwent a new series of redevelopments. Both ends got rebuilt and connected with the main stand, which kept its arch on top. Capacity was increased to 46,000 places, of which most seated. During the World Cup, San Mamés hosted three matches in the first group stage. After that, the stadium only underwent a few minor refurbishments, which included the conversion of the stadium into an all-seater. 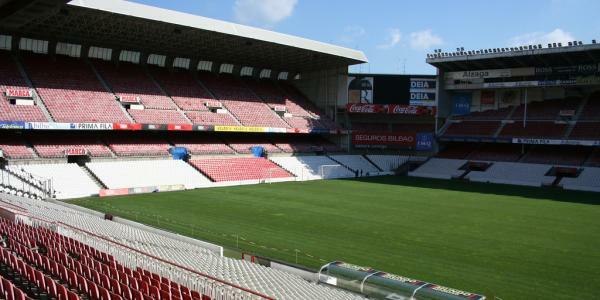 Over the years, time left its mark on the stadium, and Athlétic therefore decided to build a new stadium adjacent to San Mamés. 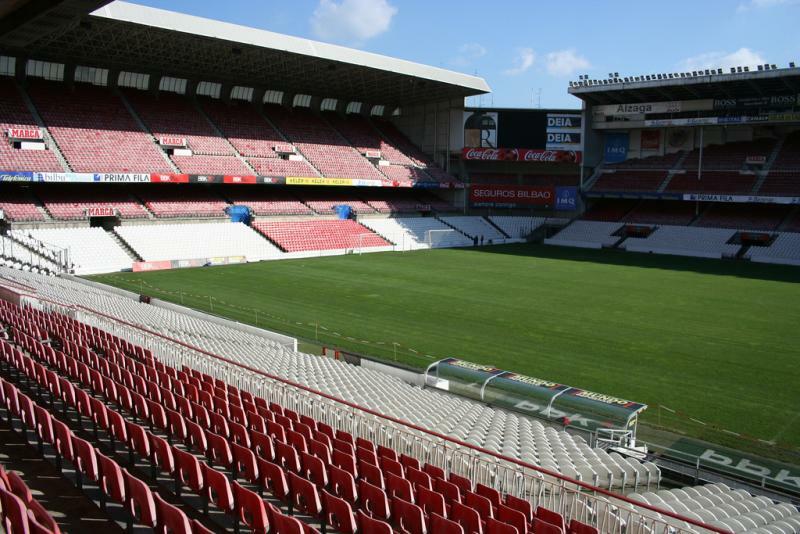 This new stadium, which also goes by the name of San Mamés, opened in September 2013. 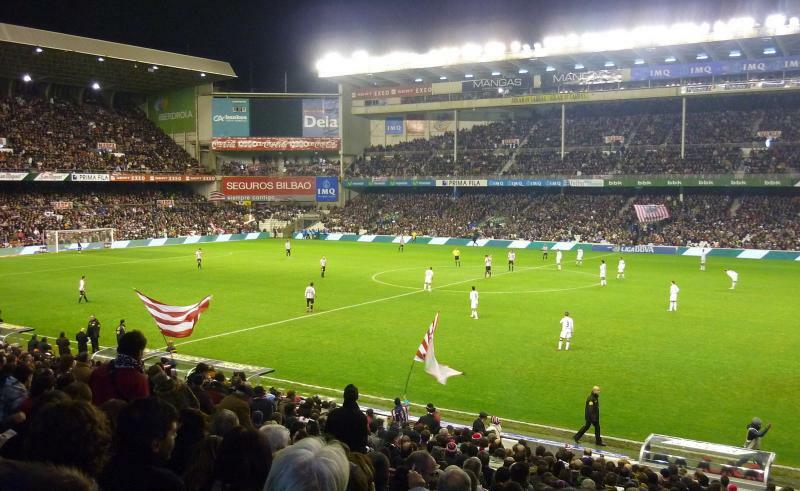 The old San Mamés had already been demolished a few months earlier.